The majestic Negev is located in the southern region of Israel. This desert amounts to half of Israel’s land but is relatively vacant of human settlement for its size. In ancient past, many different tribes of people roamed or settled here. They were: nomads, Canaanites, Edomites, Byzantines, Nabateans, and the Ottomans. Today, as in biblical times, Israelis inhabit the Negev. The largest city in the Negev is Beersheba with a population of 196,000 people. There are other small towns and cities, but the desert is only sparsely inhabited. 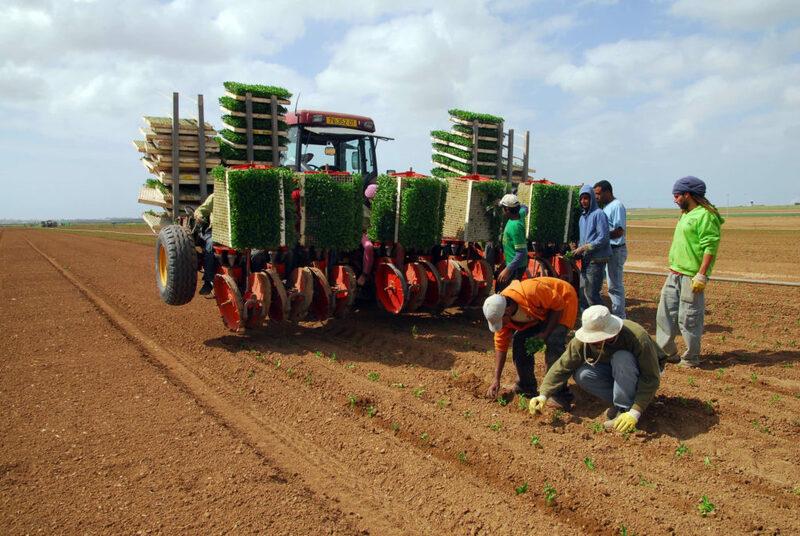 Although the Negev is a desert, there has been a large agricultural boom. Nonetheless, it supports thriving agriculture. In the nineteen-sixties, an Israeli company called Netafilm developed drip irrigation technology. This new irrigation system allows farmers to limit the water they use to a more precise amount, greatly conserving this rare desert resource. It still is the most efficient method of irrigation in the world today. It is able to almost double the crop yield. The water is underground in huge brackish aquifers. This brackish water is a little less salty than the ocean but has great potential for agricultural uses. This vast natural resource is capitalized on by what is called double usage technology. The brackish water is first used to raise warm-water fish species in man-made ponds. Then the organic wastewater that the fish were raised in is used to irrigate crops. The waste that the fish produce acts as a fertilizer for the crops. It is being used in many Negev settlements to water crops like alfalfa, date palms, olive groves, and more. Israel’s population is said to increase from 7.3 million to 9.2 million in the next ten years. The Negev Desert and its wondrous underground resource make it possible for this growing population to spread out and flourish in what was once a harsh landscape. With drip irrigation and the double usage system of brackish water, every village can support themselves from aqua and agriculture. My Olive Tree is helping to make a better life for the people of the Israel, and with your contribution, this desert can be transformed into an oasis fit for the kings of old.